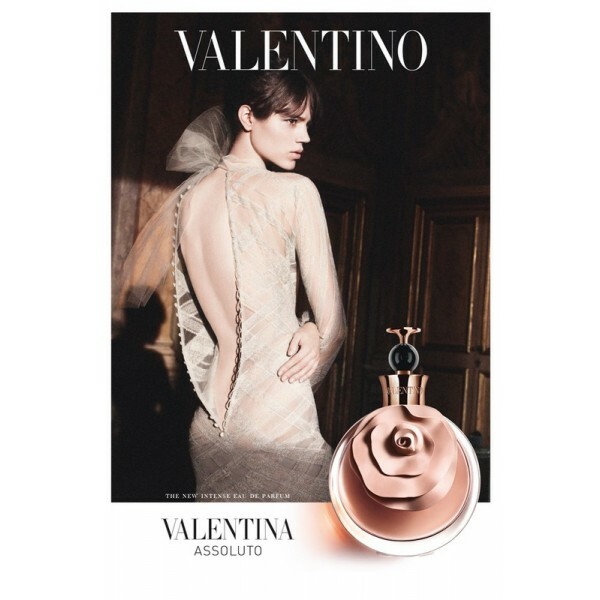 Valentino introduces a new fragrance Valentino Assoluto, the first variant on the theme of Valentina perfume from 2011. Valentina Assoluto was launched in 2012. Valentina Assoluto deviates from the floral character of the original and offers instead an intense, mysterious and deep interpretation of the olfactory chypre character. The bottle retains the same round shape with a slight design changes such as color of the glass (brown opalescent glass with ambery reflections). The campaign is shot by David Sims, featuring model Freja Beha Erichsen. The composition is credited to perfumer Olivier Cresp who told wwd magazine that the new fragrance is “much more nocturnal, more seductive" than the original. Chypre is the theme chosen for its power and elegance, and the origins of ingredients are sought mainly in Italy. Its top notes include Italian bergamot, Smeggia peach from Sicily and white Alba truffle from Piedmont. The heart exudes intoxicating tuberose flowers along with Mediterranean jasmine and soft vanilla from Madagascar. Its chypre base consists of silky cedar, oak moss and patchouli. 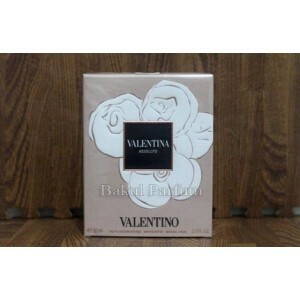 Beli parfum Valentino Valentina Assoluto Woman sekarang, harga termurah di Indonesia!! 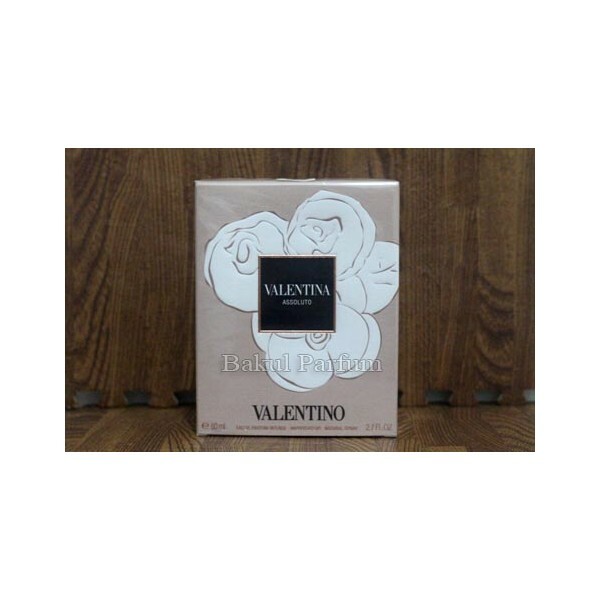 Nikmati promo dan penawaran eklusif parfum Valentino hanya di bakul parfum.